A truly beguiling variety! Clusters of large, white blooms with enchanting soft pink edges open from deep pink buds in late Spring. Each flower has a conspicuous splash of gold at its centre that catches the eye, even from a distance. 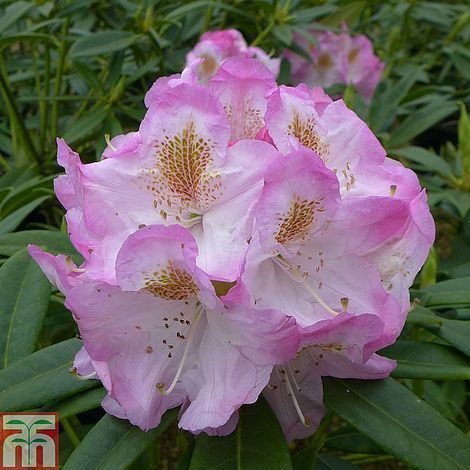 Rhododendron 'Brigitte' forms a spreading evergreen shrub, cloaked in slender, glossy foliage. A lovely evergreen Rhododendron that will provide year round colour and structure in shaded acid borders, or at the edge of woodlands. Height and spread: 120cm (48").